'He showed (Jake) Carter ( Al Carder in Bob Thomas's WALT DISNEY AN AMERICAN ORIGINAL ) a picture that he had drawn of the most glamorous film star of the day, Gloria Swanson, seated at a table sipping champagne and seductively smoking a cigarette in a long. long holder. 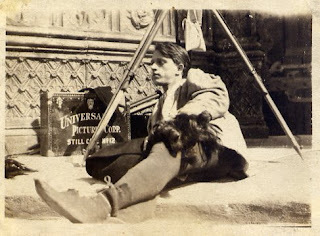 Walt had actually adapted the drawing from a publicity still of the big film then showing in town, Cecil B. deMille's Male and Female, but he had added some familiar potted palms and roman urns featured at a well-known local restaurant, and the caption underneath had Swanson say, "I always dine at Alfredo's when I'm in Kansas City." 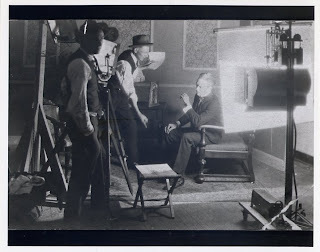 " The Newman was playing a Cecil B. DeMille picture, Male and Female, and all I had to work with was a standing photo of the stars Gloria Swanson and Thomas Meighan. Well I thought it would make a better ad if they were lying down, and that's how I drew them." I wonder if DeMille heard or read about the conference, as there would have been no way he would have seen the sketches from a small studio doing an ad for a local Kansas theater or restaurant whichever the case may be out there somewhere is this forgotten piece of Disney art, either in a programme for a Kansas theater or as an advert in a Kansas newspaper. Walt remembered it, it must have been one of his first big gigs. 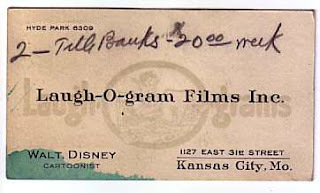 Story development in Walt's Kansas City days. 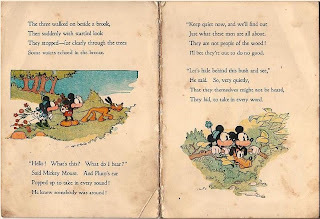 "There was one area, however, in which Walt Disney did not improvise. . . . he wrote out his scenarios in scrupulous detail as if they were live action scripts. 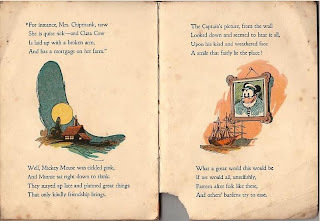 His story for Cinderella began: 'FLASH CLOSEUP OF ONE FAT LADY IN HAMMOCK reading Eat and Grow Thin - another girl very skinny sitting in chair - they are eating out of it - slim girl puts down book - she is cross-eyed - she begins talking to fat girl - fat girl answers back.' 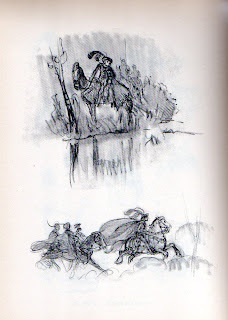 In the margins, in blue pencil, were the initials of the animators for each scene: D for Walt himself, H for Harman, R for Ising, and U for Iwwerks." 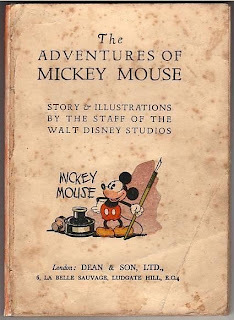 I am fascinated with these early stages of Disney's career, as an artist myself I am interested in beginings, how did others evolve? I e-mailed Michael Barrier about this script and he mentioned he doesn't know of any scripts existing for the LAUGH-O-GRAMS, Alice yes. As with many points in his book Gabler makes no mention of a source for his quote in his end notes. 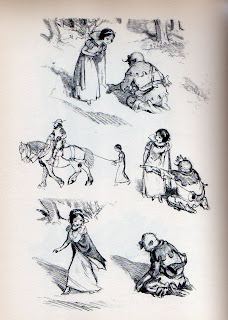 Is there really a copy of the CINDERELLA script out there in private hands or in the Disney Archives? 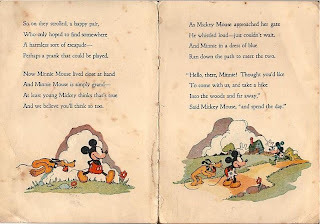 We know that some form of script was used on the OSWALD and ALICE shorts. ALICE'S WONDERLAND titles credit Walt for Scenario and Direction, as we know, that film was a LAUGH-O-GRAM production. 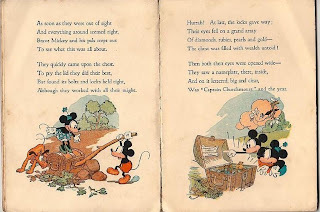 My guess is that Walt did use scripts on the LAUGH-O-GRAM fairy tales as they are too tightly structured in a story sense even for that early period. This begs the next consideration, were there some kind of storyboards? Maybe quick stick figure sketches, I'm sure that the six panel story pages did not suddenly appear during Oswald. Animating from a few typed or hand written paragraphs seems illogical. 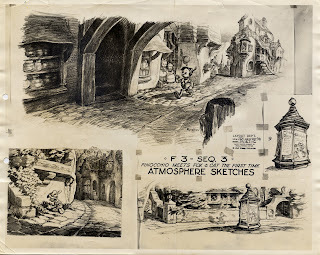 One thing is for certain, by the time ALICE was in full swing in Hollywood, Ub was preparing the work for the animators. We have Rudy Ising's experiences at LAUGH-O-GRAM studios in WALT'S PEOPLE volume 1, but I think Michael Barrier is right in saying that there is still more to unearth about this stage in Walt's career. Any theories? 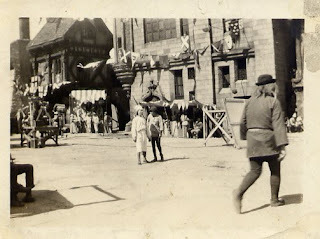 I found these odd 8x10s in a group Disney related stills which I had bought on e-bay. 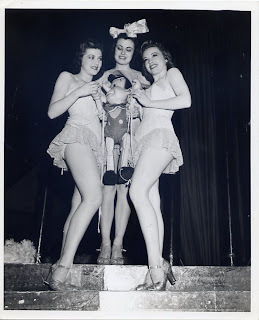 Now, in my mind the Pinocchio puppet is very on model, on model enough for a publicity shoot, yet the photos seem rather risque to be a promo for the film, does anybody out there have any ideas? 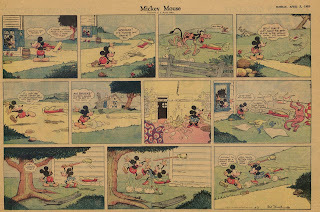 I've been going through my files of jpegs which I've saved over the years and heres something I saved from an e-bay auction several years ago which may interest Mickey collectors. I'm not sure if this is all the pages. I love the Star Wars movies and the marketing and licensing of those films is huge and worthy of academic study, but I have heard it be said that Star Wars was the first example of mass marketing of a movie product, I wonder where that came from? 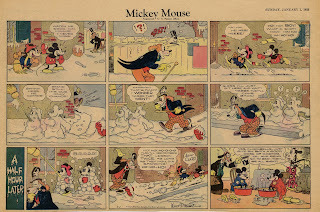 As I sift through my small collection of Mickey Sunday strips and Good Housekeeping pages, I only get a sense of how big Mickey was in his hayday. 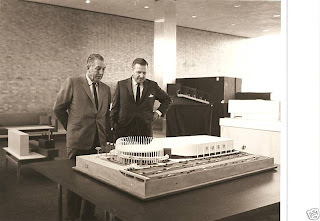 Currently on e-bay is this 1963 photo of Walt Disney and Ford Chairman Henry Ford II, looking at a scale model of the Ford Pavillion designed for the 1964 New York World's Fair. WALT & LILLY at YOSEMITE? 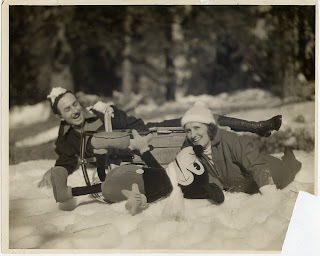 On January 17, 2008, VINTAGE DISNEY COLLECTIBLES posted a little article about Walt and his wife Lillian visiting Yosemite in January 1935. I wonder if the above photo which I've had for years was taken at that time? Their clothes seem to match, I always thought it was from a promo shoot from which I've seen several variant shots, any ideas? 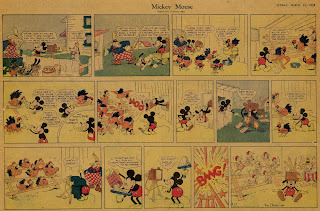 Going back in time to the first year of the Mickey Sunday strip. In the early days of sound not all theaters were wired for sound, for those theaters which were not, sound disks were provided to accompany the film and played on phonographs. Here are three early Mickey sound disks that I stumbled across on e-bay a few years ago. PINOCCHIO certainly stands up as one of the most beautiful looking films in it's design, color and animation. I love Gustaf Tenggren's work, here's a photostat from my collection. Like many readers, I'm a big fan of Didier Ghez's WALT"S PEOPLE books, they are not only a fascinating read but very inspiring. 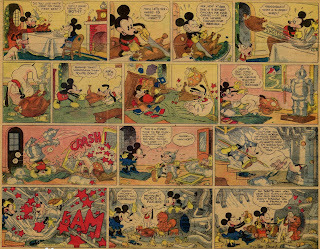 In volume 2, there is a great interview with Floyd Gottfredson by Arn Saba in which Floyd mentions his preference for the later Mickey strips. 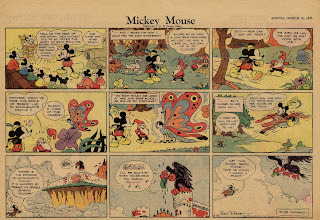 I can see his point in terms of style and streamlining, but there really is a charm in the Mickey strips of the 30s. 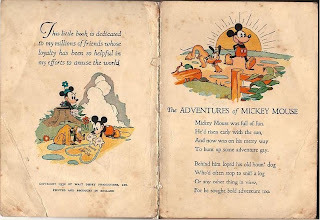 Part of it for me is how the drawings really reflect stylistically on what was happening in the shorts at the time, and when you come right down to it, Mickey really is the perfect graphic design. Unmistakable in any way. Let me know if you like seeing these strips, I have about 100 of them, maybe I can post one each week. 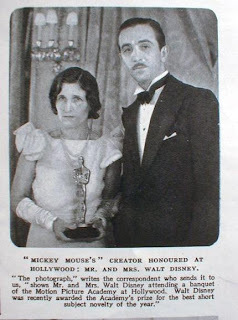 We all know that Walt arrived in Hollywood in July 1923, three months before founding the DISNEY BROS. STUDIO with Roy. 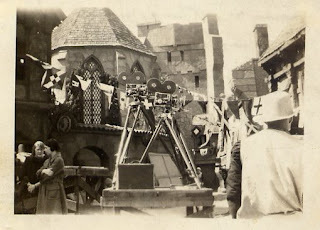 At some point during that time Walt tried to sell himself as a director and even managed to enter the UNIVERAL PICTURES lot, where according to Leonard Mosley, Lon Chaney was filming THE HUNCHBACK OF NOTRE DAME. 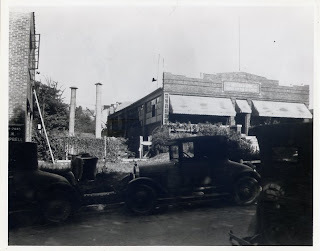 Although the above snapshots are dated March 3, 1923 it is possible they were still shooting at the time Walt arrived, would this have been something of what Walt had witnessed? Imagine Walt's awe in seeing a real movie studio for the first time, I remember how I felt walking the backlot of WARNER BROS. when I first went out there. Here's a cool little piece I found that's currently up for sale on e-bay. I don't think I've seen this picture before.